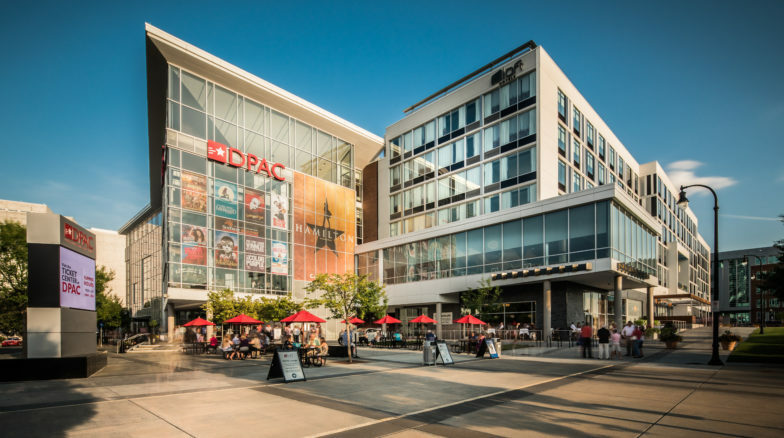 The $44 million state-of-the-art Performing Arts Center (DPAC) in Durham’s downtown entertainment district features North Carolina’s largest stage for major Broadway shows, opera, concerts, drama and family shows. 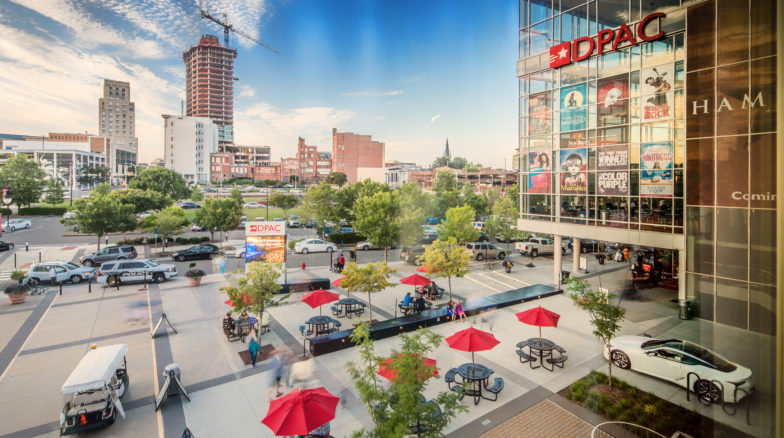 The entrance plaza and streetscape elements provide a festive arrival court and outdoor event spaces. 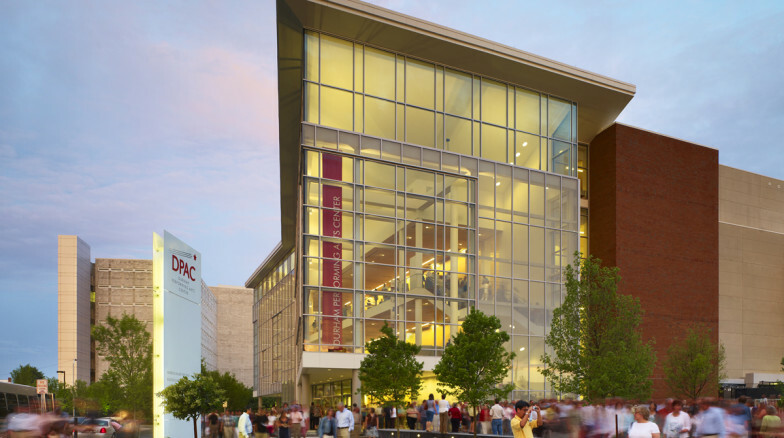 Linear seatwalls punctuate the design and provide visual references to the architecture of DPAC and the buildings of the adjacent American Tobacco Campus.